Color is a beautiful thing as can be the absence of it at the opposite end of the spectrum. We say our lives are “colorful” when they are instilled with excitement. Color plays an often crucial role in people’s vision, yet I find that color is something rather difficult to define. Could the painter function in the absence of color? As with the eye, the window to the soul, the lens of my camera is subject to the sensory element of color. For years there were two types of photos: those in black and white, and those in color. The age of digital photography has opened many more doors to creativity, not least among them the effect of selective colorizing. With the aid of digital software, a photographer can edit a still shot so that only a few hues (or even just one) are in color and render all other hues to appear as monochrome. This allows me to isolate the colors of my choice, drawing more attention to the colorized object. One of the stirring thoughts which provoked me to capture this image was the thought of individuals who are color blind, those who can see but without the vibrance of color. 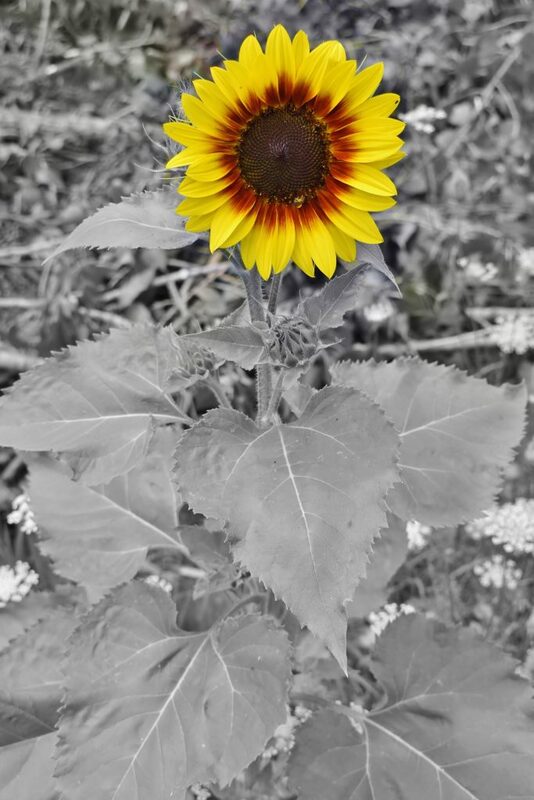 The endearing two-toned sunflower serves as a tribute honoring all those who suffer with color blindness, those same people who see no difference in the color of skin of any human being. This photo also serves as a reminder to those who see the world in the fullness of color to appreciate the world as well as the gift of their own sight. The reasoning and editing behind the creation of the hourglass shot are similar to that behind the sunflower photograph. It is another photo captured outdoors in the elements and in genuine lighting. I love using real sunlight and shadows. 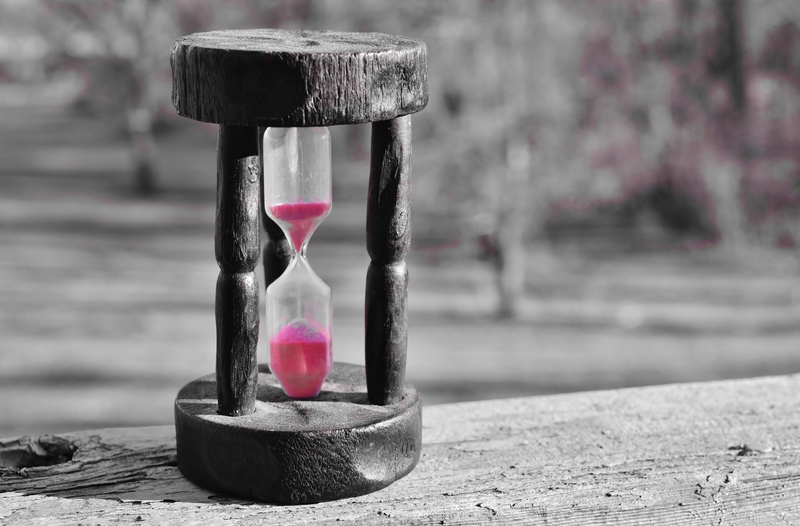 The actual concept of the hourglass with the pink sand in motion is a simple one. The running sand itself can be taken to represent our lives. The time it takes for the sand to run out is brief, so also it is with our short lives.The sand is always moving and never stops until it runs out; too many of us never slow down and enjoy the richness of the moment; we are constantly on the move until our lives are entirely spent. And as the sand starts to run out it grows white, losing its color. We say our lives are “colorful” when they are instilled with excitement. Thus, as the bright hot pink hue fades it symbolizes the dullness or greyness too often associated with old age. John Tuttle is a young Catholic man with a passion for journalism and mass communication. Based out of Cherry Valley, Illinois, he is a writer, blogger, photographer, and video maker. He wishes to pursue a career pertaining to those fields.